Are you staging a conference or other event where the audience wants help with search marketing? Experienced and dynamic, CEO Rob Laporte will inform and energize your audience. 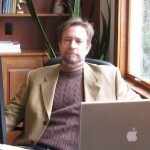 He has six years of university lecturing and teaching at UMass Amherst, a year of teaching Internet Marketing at Greenfield Community College, and he has spoken at several conferences, including as keynote, over the last 15 years. In February 2016 Rob was a featured guest in the best SEO podcast and radio show, SEO Rockstars at WebmasterRadio.fm. In November 2015 Rob explains SEO and conversion rate optimization in a radio interview in the Western Mass Business Show series. “Search and Social,” presented to Prof. Bahl’s Social Media Strategy, an MBA class at the Isenberg School Of Management, UMass Amherst, 10/30/13. “Essentials of Search Marketing,” presented at the fourth annual Creative Economy Summit, Turner’s Fall’s, MA, 3/22/13. “CMS & Database SEO,” April 2011, for the Valley Summit in Northampton, MA. “Careers in Search Marketing,” February 2010, for the UMass Isenberg School of Business. “The Present and Future Value of the English Major in Web Marketing,” presented to the Professional Writing and Technical Communication Program at UMass Amherst, March 2004. “Introduction to Search Marketing,” presented for the The Hilltown Community Development Corporation, Cummington, MA, November 2003. “Trends in Search Marketing,” Keynote Address for the conference, Marketing Your Business on the Internet Today, Springfield, MA, October 2003. “Selling the Complex, New & Invisible,” Guest Lecture at UMass Isenberg School of Business, April 2001. “Web Technology That Makes Money For You,” Presented for The Valley CDC, The Pioneer Valley Enterprise Commission, and the Eastworks Business Community, Easthampton, MA, July 1998.